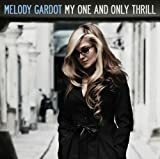 Amazing though it is, the story of how Melody Gardot overcame the effects of a near-fatal accident to become one of the vocal sensations of 2008 is not the most extraordinary thing about the 23-year-old Philadelphia singer-songwriter. It is simply that here is a voice in a million; one that touches the soul. Melody Gardot released her first album, "Worrisome Heart", just last year and a thing of rare beauty it is.But a year ago, much of the discussion about Melody Gardot centered on the way she'd recovered from a terrible road accident and had used music as a therapeutic lifeline.